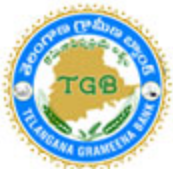 Telangana Grameena Bank (TGB) Recruitment Notification 2015- Telangana Grameena Bank has issued a latest recruitment notification to recruit Officer Scale and Office Assistant posts. Who are eligible and interested they can apply online mode by visiting official site of TGB before last date. Candidates also check other details related to TGB recruitment Notification 2015 like how to apply, interview date, selection process, cut off marks on total weighted score and more details are given below.